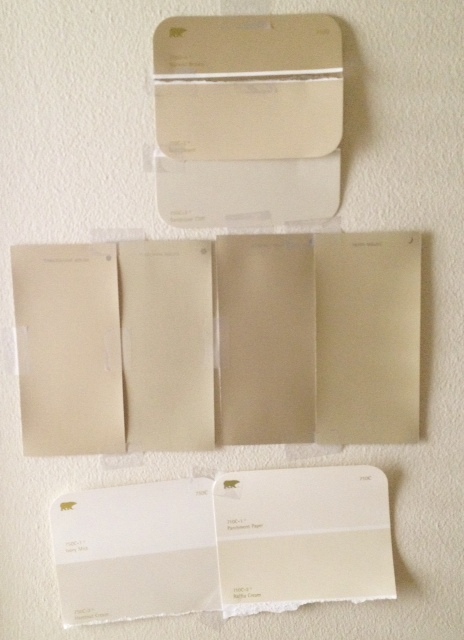 Remember these sad paint chips hanging on our bedroom wall?? My verdict?? With the exception of Tobacco Leaf which has more of a green tone, they all look the same! Tobacco leaf is out, and tonight we will eenie meenie miney moe for the finalist. 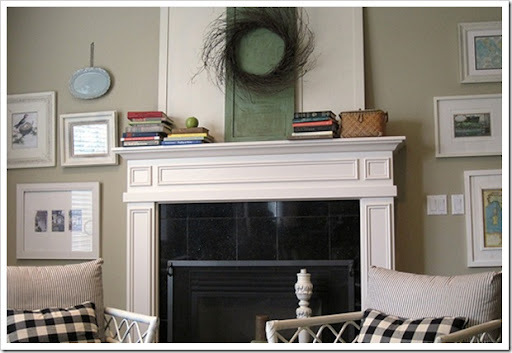 This entry was posted in paint chips by Simply Styled. Bookmark the permalink.